Top value for money earbuds, period! Here you’ll find out 15 top earbuds (in-ear) that will rock your ears for little money. All models picked are great value for money, …. … in fact we are confident enough to say these are the best cheap earbuds money can buy right now. All of them are a great combination of build quality, durability, comfort and most of all great sound quality that can compare with 2 or 3 times more expensive IEMs (in-ear monitors). Check below for the comparison table of top 10 value for money earbuds. 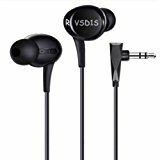 How to Find Good Inexpensive Earbuds? Vote for your favorite cheap earbuds! 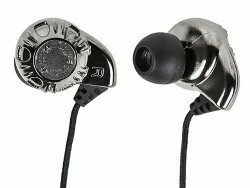 There are many cheap in-ear headphones to choose from looking just at prices. But when it comes to sound quality the differences are big. Yes, earbuds at $5 a pop are dirt cheap. But don’t get too excited just yet, you need to understand what you get with this low price. Many times it’s wise to spend $10 or $20 more and get a pair of earbuds that will last you longer while play high quality audio comparable with much more expensive models. It pays to do a little research a get a cheap pair of earbuds that are recommended by experts. You’re sure to get more value out of it. Most of the cheaper varieties don’t produce the kind of bass and audio quality that you are looking for, but some do. You can get a great pair of earbuds with high quality audio for very little money, if you pick the right model. Getting balanced, clean sound with the right amount of bass in cheap earbuds is uncommon, but not impossible. See the reviews below. All of the models shown here are known for better than expected sound quality, so you can be sure you won’t be disappointed. A single driver earbud can give you the range you are looking for, which is a normal range of 20 hertz to 20k hertz. 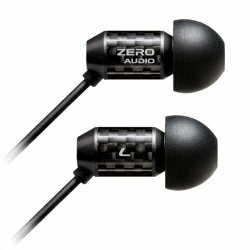 Single driver earbuds do have their limitations, but even multiple driver earbuds don’t automatically guarantee a perfect listening experience. Poorly designed earbuds with multiple drivers have been known to give you a jarring performance due to irregularities in frequency response. So a pair of cheaper single driver earbuds can in many cases be better than some multiple driver earbuds. When it comes to the comfort of IEMs the most important thing are ear pads, ear tips or ear plugs as they are also called. Fortunately you can get different sized ear tips that fit all models. This way you can adjust the comfort level for your ear shape. Additional ear plugs are cheap but can make all the difference in the comfort and noise isolation. If you’re half serious about in-ear headphones, get additional ear plugs as well. If you’re looking for cheap wireless earbuds you should expect to pay quite a bit more than for wired models. Wireless technology is still expensive and that adds to the end price. In this article we’ve focused on wired cheap earbuds under $50 or less as this ensures you get best sound quality possible, without having to pay for wireless technology. They have to be robust enough to withstand your everyday routine. Cheap price doesn’t have to mean low quality materials. You can get durable earbuds for little money too. If you are looking for earbuds for a specific purpose, like headphones for running, you’ll have to shelve out more money. Generally cheap earbuds are made in a generic way. Not necessarily fragile, but you simply cannot expect them to be as durable as more expensive headphones. Keep in mind, with proper care any earbuds should last you years. The cheapest headphones don’t have active noise isolation, but passive noise isolation can do a pretty good job as well. Just like with wireless technology, active noise isolation costs money. This way, if you’re looking for top inexpensive earbuds don’t look for active noise cancellation. There is a vast array of brands competing for your attention in the price range of $10 to $50. With a bit of research you can find a great pair of in-ear headphones that will serve you well for a very long time. Usually less known brands and models tend to provide biggest value. Because small companies want to get their brand out, they offer their products for less money to gain market share. This is a great plus for you, the consumer. Below are some of the most popular headphones that are great value for your money. 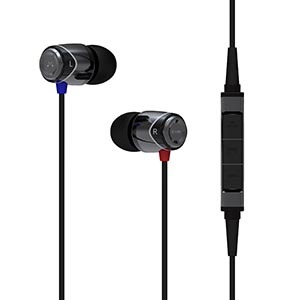 At the moment there is no other budget model of earbuds on the market that you could say is superior than the SoundMAGIC E10.The balance of quality build, comfortable wear, nice design and very balanced high sound quality with the right amount of bass, makes these #1 choice for best cheap earbuds. Sure, we all have our own preferences in sound tones, bass levels, design and brands, but the big majority of reviewers and experts can’t all be wrong. This is a very popular budget model for a reason. Getting a proper fit is the same as with any other in-ear monitors, you have to find the right ear tips and position that suits you. SoundMAGIC E10 are easy to fit. Sound isolation is pretty good as well. You can enjoy the music without outside noise while still hearing what is going on around you. This is important if you plan to use them on the street. These are very comfortable and if you have small ears you can replace the original ear tips with smaller softer ones for maximum comfort. Because the casing is so light wearing them for hours is not a problem, just get the right fit and you’re good to go. Immediately you can spot the metal casing which makes these earbuds look premium and durable at the same time. This is not some cheap, low quality metal either. It feels and looks premium, like if you’d pay $100 for it. There are no in-line controls of any kind, just the regular wires. Did we mention the SoundMAGIC E10 were chosen as best budget earbuds on the market by What Hi-Fi magazine? Go here for top noise isolating earbuds. The thing these earphones really excel at is sound quality. The perfect balance of clean high pitched, medium and low bass sounds makes these one of the best sounding cheap earbuds ever made. Don’t expect emphasized deep bass, as these really focus on balanced sound. These IEMs are perfect for listening to all types of music, but especially the genres in which clean, balanced sound comes alive. Here are another great value for money Vsonic IEMs. The previous VSD1 model has been great and the newer VSD1S is even better. For many audiophiles these are best sub $50 in-ear earbuds on the market right now. While the brand is a bit less known in public, the experts all agree Vsonic VSD1S are one of the best budget earbuds. In fact they are so good they can compare to $100-$200 IEMs with multiple drivers. They fit very well to most sizes of ears and most of you shouldn’t have an problems getting a proper fit. Noise isolation is about average and like with all in-ear monitors, greatly depends on the ear tips you use. The bigger the ear tips, the better airtight fit, the better noise isolation. Vsonic VSD1S are very comfortable, thanks to their slightly V shaped design and quality ear tips. In case you have smaller ears or you’re just used to custom ear tips get them. With proper ear pads these are one of the most comfortable earbuds you’ll ever wear. You can literally forget you’re wearing them. The build quality is good, not exactly military grade durability, but good enough. The weakest part seems to be the wires. While having a special matte finish that makes them look really cool, they seem rather thin. Nonetheless taking decent care of them will go a long way. Vsonic VSD1S don’t have any controls so you’ll simply have to use your music device to control it. You do get a carrying pouch with it though it doesn’t offer a lot of structural protection. The sound quality is something you would expect from above $100 earbuds and definitely not under $50. The sound in general is very balanced and clean. There’s no screeching pitch so common in cheaper earbuds. The bass is tight, but not punchy or overpowering. 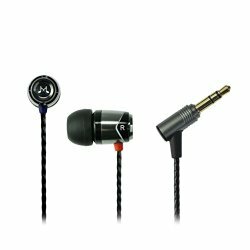 If you like more bass you should check best bass earbud models here. It produces very smooth and clear mids with a slightly warmer sound, while still being very accurate. This is great for pop, rock, classical and symphonic music, but since the sound is so balanced you can listen to anything and you’ll still get high quality sound. If you’re looking for clean and balanced audiophile sound quality, but don’t want to give over $100, Vsonic VSD1S are a great choice that won’t leave you disappointed. Another pair of great IEMs (in-ear monitors) that produces sound comparable to $150 models for less than $50. The Japanese ZERO AUDIO Carbo Tenore have been very well known in the audiophile society for providing great sound for very little money. The ear tips coming with these IEMs are decent, but the sound and comfort can be improved by getting different, softer ear tips for better comfort and sound seal. Sound isolation is overall pretty good with original tips but getting better ear tips is recommended, this is one of the advantages of these earbuds. Good sound isolation means your music won’t be distorted by outside noise. They are very light and thus comfortable, as all quality IEMs (in-ear monitors) should be. Listening to them for hours on end won’t leave you with irritation, there is really nothing to complain about. As always, pick the right ear tips and enjoy great sound quality. It’s always good to know how long you can expect your earbuds to survive. Generally Zero Audio Carbo Tenore are not the most durable compared to others on our list, but still do a decent job surviving the wear and tear of everyday use. They are made out of carbon and aluminum so these are built from strong materials. Build quality is good enough to ensure usability for years, but you should treat them slightly better than some other more durable models. Another problem is the fact that these are being sold out of Japan and the company doesn’t recognize the warranty outside Japan, though this might have changed by now. Have no controls or microphone. You’ll also have to get your own carrying bag if you use it as you don’t get it in the package. Now let’s go to sound quality. For many people these are the best sounding budget earbuds. Producing very balanced sound with clean, strong bass yet probably not enough for a basshead. All ranges of sound are very balanced while still producing good bass on bass-heavy music. You’ll be able to hear a lot of detail and in a way that it was meant to be heard. Good balanced sound means very natural sounding music. Especially the vocals can be heard just like the singer would be singing next to you. This is something only more expensive headphones are known for. Overall, Zero Audio Carbo Tenore produce one of the more balanced sounds at this price range while still being able to produce good sub-bass and pack everything in a comfortable and durable package. 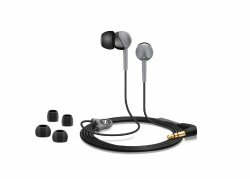 Brainwavz is known for producing great value for money earbuds. The S0 model is one of them. The things that really stand out are the build quality (metal casing, strong wires), sleek design, comfortable and tight fit with overall balanced sound and slightly enhanced mid bass. One great bonus are the many ear tips that you get with the original packaging. You can choose from different materials and different sizes that can compare to premium ear tip standards. You get Comply S-400 premium ear tips in the package. Testing all the ear tips is really fun, plus you learn what type of ear tips suit you best for the future. This ensures maximum sound isolation and comfort for long use. Because of their extreme lightweight design they are very comfortable to wear. Pu them on, adjust the fit to your fitting and forget you’re wearing them. Simple as that. The metal casing with really high quality ear tips makes these IEMs premium grade when it comes to durability. While the casing protects from everyday use it also makes the design look modern and sophisticated. Nonetheless, treat them as budget earbuds and they’ll serve you well. The in-line controls with microphone work well. You should have no problems increasing the volume or changing the song with your iPhone or Android device. The S0 model compared to Brainwavz Delta’s produces superior sound, slightly cleaner and richer sound with better soundstage. This is to be expected as they are almost 2 times more expensive, the Delta’s are still great value for the money. Additionally with the ear tips you get a shirt clip and a nice carrying case ensuring a long life for your earbuds. The overall sound is rather balanced with a more prominent mid bass.This might be a flaw for some or an advantage for others. If you’re not exactly sure what you’re looking for, but know that you want some bass, yet not too much, these are a perfect fit for you. In case you’re looking for nice, durable budget earbuds with balanced highs and mids and with some bass, the Brainwavz S0’s are a perfect choice for you. Immediately when you unpackage these in-ear headphones you’ll know they are built with durability in mind. The weight of the earbuds might be a bit bothersome in the beginning, but you eventually get used to it. Put them on with the right size of ear tips and they fit as good as any earbuds. Noise isolation is average with regular ear tips. If you want to maximize background noise isolation, get yourself some premium triple flange tips, those are the best for the job. Comfort is achieved with 7 sizes of ear tips to choose from and while they might seem a bit heavy they fit in nicely. You’ll also get used to the weight in a few days and won’t notice it anymore. They are made of quality materials, aluminum case and Kevlar protected wires, and look strong without any weak parts. 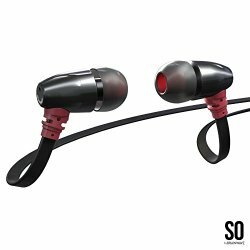 Out of all in-ear headphones reviewed on this page these are the most durable, almost military grade. Some call these “Tank earbuds”. In fact if you break these IEMs you’re doing something wrong and should seriously think about your treatment of earbuds. For more reviews of durable earbuds click here. There are 2 models. The first one has only regular wires without any remote or microphone. The second model which is slightly more expensive has a microphone, but no remote. So you can make calls when connected to a phone, but you can’t control music with them. Carrying pouch is also well made and offers a convenient way of carrying them around. With the correct choice of ear tips you will get great sound range. Very balanced and more or less clear and detailed. While still slightly lacking in the sound quality compared to SoundMAGIC E10s or Vsonic VSD1S, they are good enough to enjoy everywhere you go. J4s sound really good, while they may be weaker playing mid-range sounds they are still great overall. Punchy bass and clear highs make these earbuds stand out from the average group, especially considering how durable they are. The best part of these is the price. You get great sound, awesome durability with clean and rugged design for less than $40. There aren’t many earbuds that can compare in value. 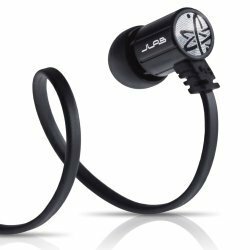 For those of you who are looking for maximum durability, yet with quality balanced sound in a budget package, JLAB J4 are the earbuds for you. The second Sennheiser model on this list is equally great value for the money as the first one. If you’re slightly interested in headphones you’ve probably heard about this German brand in the past. This is one of the cheaper models, but doesn’t disappoint. If you’re lucky you might get these for less than $20. With the innovative “Twist-to-Fit” technology CX200 have better fit than most earbuds and when you get an airtight fit you will get better passive noise isolation and better sound quality. In fact because of the fit technology, which impacts isolation, sound and comfort, these are one of the better earbuds for the money for this reason alone. When it comes to comfort they don’t disappoint either. These are quite light and if you change the ear tips you can get a very comfortable pair of earbuds. Sure, you get only the standard 3 pairs of silicone ear tips, but they do a good job nonetheless. You can always spend a bit more money on premium Comply tips if you want. Well-built and made from durable material in a smart design ensures long life with normal use. If you want more durable earbuds check these. The design is typical Sennheiser, minimalistic, but sleek and durable. No in-line remote or microphone, the only thing you get is a standard cord with a 3.5mm plug-in at the end. Sound quality wise they have no special features or advantages over other models on this list. It has good sound overall as you’d expect from a brand like that. Slightly stronger bass would be annoying to a demanding audiophile, but just about right for an average user. To really get the most of sound quality, you have to fit them the right way to get maximum noise isolation which is one of the things this model excels at. These IEMs block more outside noise than most earbuds in this price range. Different ear tips can help with that too. Once snugly positioned in your ears, you’ll get clean quality sound with strong bass without distortion of outside noise. Click here for best bass headphones. In the end, if you’re looking for a quality pair of in-ear earbuds from a known brand, with very comfortable and durable design and sound that doesn’t disappoint, get Sennheiser CX 200. While these Monoprice earbuds may not be as comfortable as the Panasonic’s above, they are better when it comes to sound quality. Much better in fact. For just around $10 these offer a lot of value you can’t get elsewhere. The design needs some getting used to, but with better ear plugs you’ll be very happy with them. The ear tips that you get in the original package aren’t the best and are recommended to switch them to some better ones. Noise isolation is only decent, but new ear tips can improve it. They aren’t the most comfortable or most sound isolating because of their specific design, but nonetheless can still be enjoyed. For best comfort some Comply foam tips can do wonders. The built quality is decent enough and doesn’t seem to have any major issues or break points. Take good care of them and they will last you years. If they break, well just get a new pair. You’re only getting a regular cord with a plug at the end. No earbuds this cheap have a microphone or remote. They pair comfortably with your iPod or other portable music devices through a 3.5 mm gold plated stereo plug. When it comes to sound, the bass tones are clear and punchy with good bass response in this price range. The clarity of mids and highs is also better than many models priced at $50+. It’s not crystal clear, but surprisingly good for real budget IEMs. Overall the sound is comparable with much more expensive models and this is probably the only “around $10” model that comes near that. If you’re looking for dirt cheap earbuds with clear mids and punchy bass that can compare to models 5 times more expensive, than these are the earbuds of your choice. For a wider range of bass earbuds click here or check top workout headphones. What Are The Best Earbuds For The Money By Your Opinion? What are your favorite budget earbuds? Let us know what you think about the models selected here. Should we add a new model not yet available for voting? just don’t forget to stay in the price range. Budget earbuds have to be cheap. Don’t forget to share and like the site for future updates.